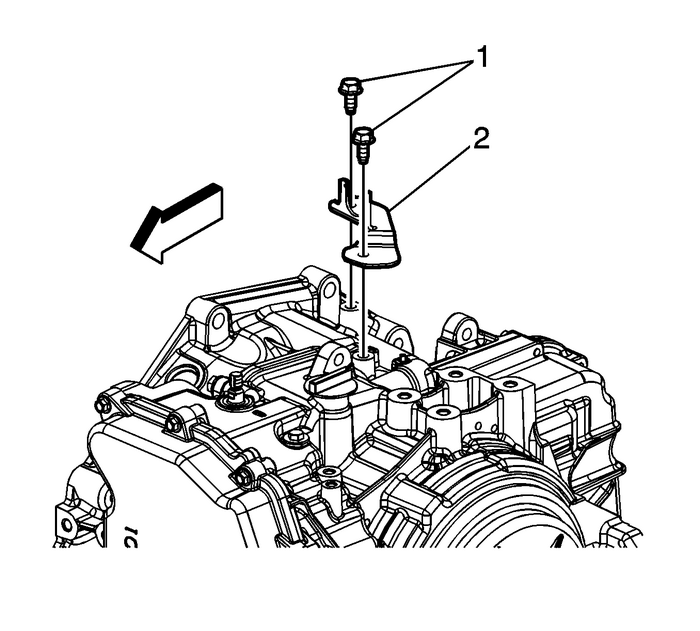 Disconnect the range selector cable end-(1) from the range selector lever.Disconnect the range selector cable-(2) from the range selector cable bracket. 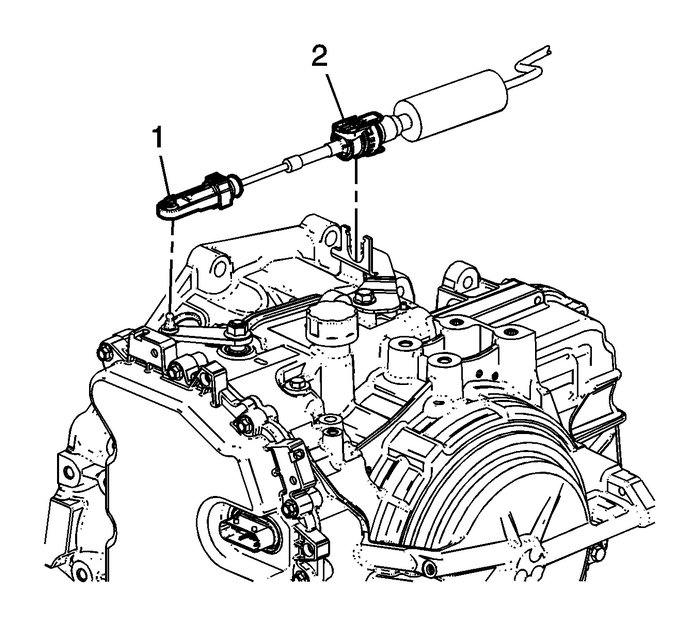 Install the transmission range selector cable bracket-(2). Install the transmission range selector cable bracket bolts-(1) and tighten to 25-Y (18-lb-ft). Connect the range selector cable-(2) to the range selector cable bracket.Connect the range selector cable end-(1) to the range selector lever.Check the range selector cable adjustment. Refer toRange Selector Lever Cable Adjustment.